How much do you love your Hyundai? Enough that you want to share that love with your family and friends? No worries! 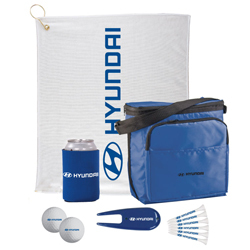 Hyundai has an on-line gift store! Thanks to Hyundai’s partnership with Land’s End you can have the Hyundai logo emblazoned on everything from clothing (like polos, button-downs, jackets, sweaters) to totes (like briefcases, padfolios, lunch sacks, backpacks), even stools, pet beds, golf balls, and coloring books! Spread the Hyundai love! Previous Previous post: Strategic Vision Says We Love, Love, Love, Love, Love Hyundai!